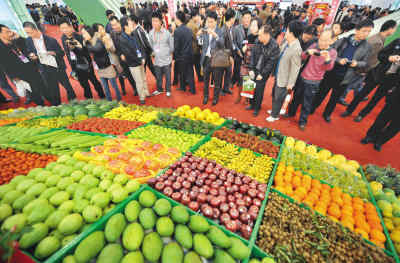 The 2011 Hainan International Winter Trade Fair for tropical products kicked off at Haikou International Convention and Exhibition Center on Dec.12, 2011. A variety of farm produce including tropical fruit, aquatic products, poultry and flower were exhibited at the annual fair. Covering an area of 50,000 square meters, the fair has registered more than 4,000 visitors from different regions. Besides, the 3-day fair has also attracted 90 Taiwan’s agricultural enterprises to display special local products.